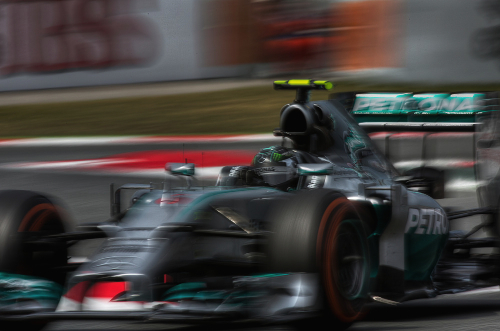 Nico Rosberg won the German Grand Prix today, in a flag-to-flag victory in his Mercedes GP. Valtteri Bottas with another fine run finished in second place in the Williams-Mercedes., 20.7 seconds behind the winner. It is Bottas third consecutive race finishing on the podium. Lewis Hamilton, after a crash in qualifying starting in 20th position, carved his way up through the field to finish in third place in his Mercedes GP, 1.7 seconds behind Bottas. Sebastian Vettel (21.4s) in the Red Bull-Renault was fourth, followed by Fernando Alonso (8.4s) in the Ferrari in fifth place, Daniel Ricciardo (0.0s) in the second Red Bull in sixth place, Nico Hulkenberg (11.6s) in the Force India-Mercedes in seventh place, Jenson Button (20.5s) in the McLaren-Mercedes in eughth place, his team mate Kevin Magnussen (1 lap) in ninth and Sergio Perez in the second Force India finished in the final points paying position.